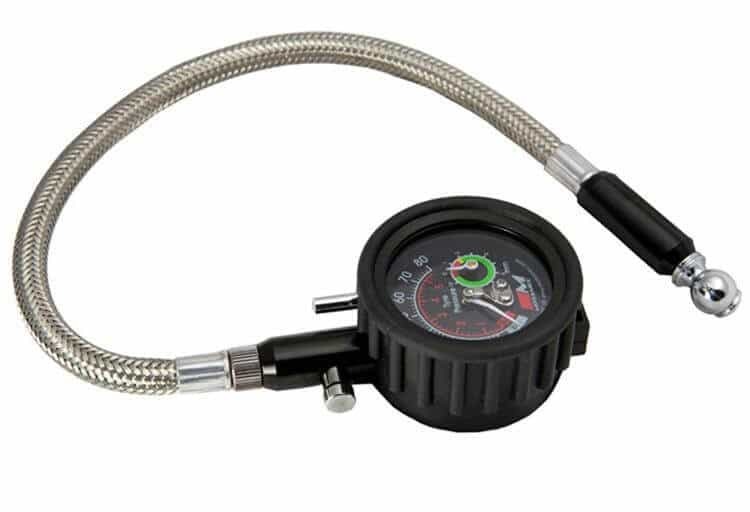 Analogue tyre pressure gauge with built in tyre tread depth gauge and flexible hose by Motamec. Protective rubber cover makes the gauge extremely robust. 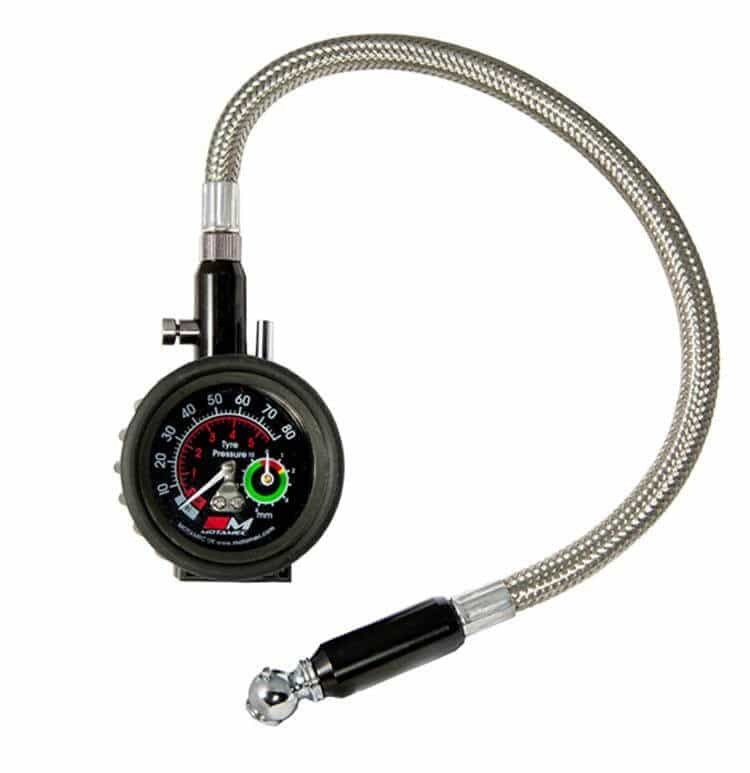 Guage reads up to 80psi. Comes with 335mm long armoured hose and swivel chuck with pressure release button.